Northland Farm Services carries a wide variety of water pumps and tanks for farm and home supply. This includes; water pumps for irrigation, boreholes, cooler and farm water reticulation, drainage, effluent and domestic water pumps. We have submersibles as well as vat wash, deep well and wash down equipment. We supply controllers and accessories for all of our pumping equipment. Our pumps are the best in the business and our service of them is second to none. We offer only the best-known, highest quality brands such as GPS Pumps, Calpeda, Mono, Anderson, Davies and Doda to name a few. These pump manufacturers have been in business for many years and each one has a special orientation toward the agricultural business. They care as much about the success of your dairy farm as we do. Also see our dairy farm milking machinery page. GPS is a supplier of internationally sourced pumps. Gps is represented and actively working in New Zealand, Australia and the Pacific Islands. With a wide variety of water pumps, Jet Pumps, horizontal and vertical multistage pumps, pressure tanks, borehole pumps, gear pumps, submersible – drainage, vortex grinders, effluent pumps and circulators along with pump controllers and accessories. With this wide range of pumps GPS along with Northland Farm Services, can service the primary markets, residential, agricultural and industrial. Doda is the leader in the field of wastewater and every agricultural endeavor needs a solution to their waste issues. It is their commitment to excellence and to your success that leads us to offer these high quality water pumps with only the best long-term reputations. Ask us about our pressure tanks, water tanks and troughs. 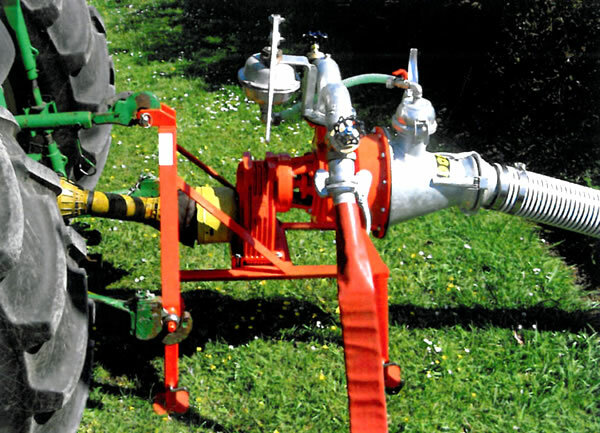 We also carry fire fighter pumps. Give us a call to find out more. The ePump is a standalone, fully automatic solar pumping system which pumps water in the remotest parts of your property. It pumps both clean and dirty water efficiently and sustainably. You will no longer have to spend time traveling to refuel your pump, the ePump is your peace of mind solution, that is a set and forget system – no electricity or batteries required!